The cushion cut diamond has existed for nearly 200 years. It originally came from an antique style that was often referred to as a “candlelight diamond.” Back then there was no electricity so this cut, with its large facets, was known for sparkling in candlelight. The name for these square shaped diamonds with soft round corners is based on their cushion or pillow-like appearance. The soft-looking rounded edges of the cushion cut diamond give it a romantic essence since it resembles a pillow. This cut offers some variety in its proportions, with some long and narrow and others more of a square shape. But, what remains consistent is this is cut looks like a diamond cushion, hence the name. Cushion cut engagement rings are an extremely popular choice among fancy shaped diamonds because of their sophisticated look. You will often find a cushion cut center diamond in vintage style settings and halo rings. There is no doubt that a cushion cut diamond will make for a very elegant looking diamond engagement ring. 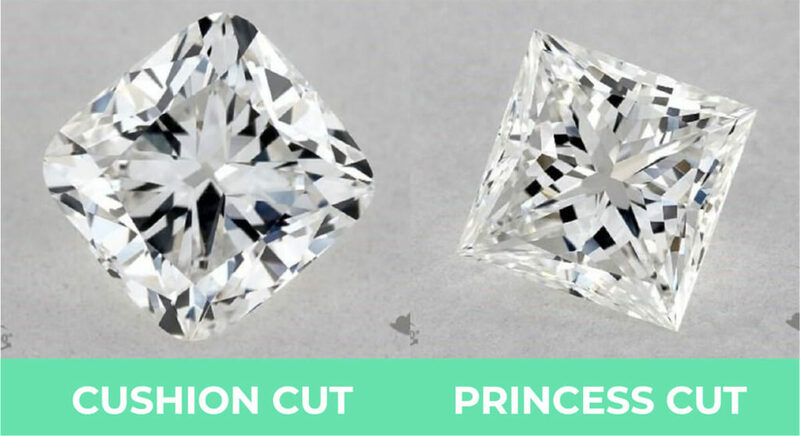 While both the cushion cut and princess cut diamonds have a square at the center, they are basically very different. If you look closely, cushion cut diamonds have soft round edges that give them a romantic feel. Contrast that with the more geometric and contemporary look that a princess cut diamond lends to a diamond engagement ring. In deciding between the two, a cushion cut or a princess cut, it all depends on your personal taste. 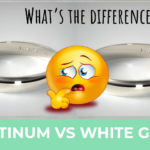 Both are unique and look equally stunning in a broad range of engagement ring settings. There is wide variance in the standards set for cushion cut diamonds, more so than for other diamond shapes. 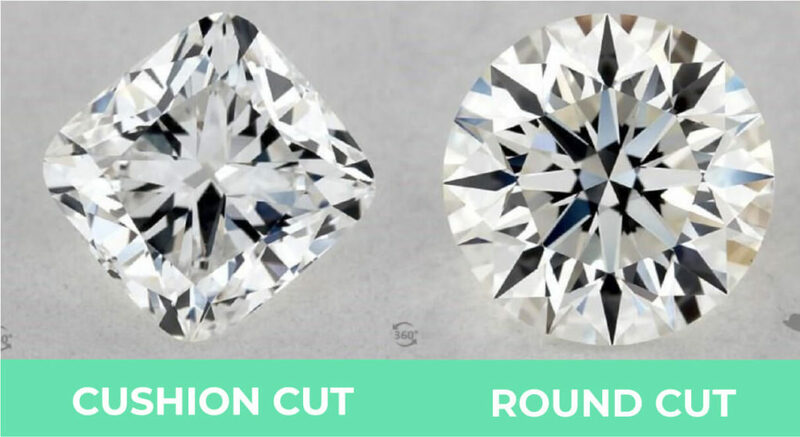 Cushion cuts are usually less brilliant than round brilliant cut diamonds, but cushion cuts frequently have more fire. This is why they are so appealing to the eye. Modern cushion cuts often have one of the three standard pavilion facet patterns (see above picture). If you look closely at the third pattern you will see an extra row of facets along the pavilion. This is classified as a “modified cushion cut” by GIA. 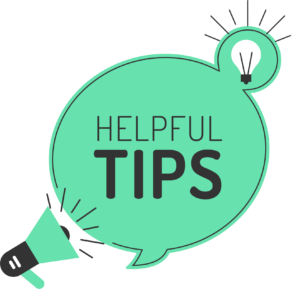 These types of modified cuts often have a “crushed ice” or a facet pattern resembling a needle. 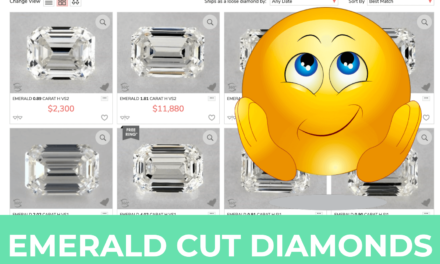 You can see that these cuts actually resemble the look of a radiant cut more than a typical cushion cut. The traditional cushion cut diamond is shaped like a square with a 1.00 length to width ratio. You can also find them slightly rectangular in shape. The most popular cushion cut is slightly rectangular with a length to width ratio of 1.10 to 1.20. Again, it’s a matter of personal taste and preference that will factor into your decision when buying. Every diamond we display is shown with its precise measurements, including its length to width ratio. 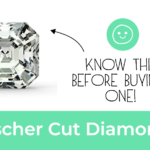 You should know the exact size and shape of any cut diamond under consideration. Assessing the color of cushion cut diamonds is a highly subjective exercise and one’s personal taste plays a role. Many buyers prefer the slightly warmer tones of a G-H diamond rather than the cooler tones of a D-F diamond. Supply and demand influence the premium prices of cushion cuts at the color scale’s higher end. Buyers looking for the D-F color grades will pay a higher price for them. 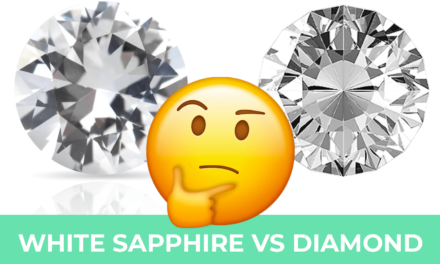 If there were no diamond color grading, the higher color grades would be selling for much lower prices. This is because you can hardly see any real differences in color. 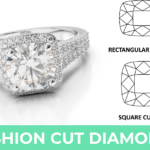 A cushion cut diamond works great with a broad array of settings since this is such a versatile cut. With its old world antique style, it looks beautiful in vintage settings, but still enthralls in more modern settings. Since there are no vulnerable points in a cushion cut, it does not need to be in a protective setting. A prong setting would be best if you want to enhance the diamond’s visibility and sparkle. Most cushion cuts are set with 4 prongs, which allows plenty of light to reflect off the diamond. 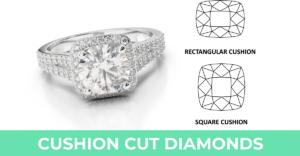 If you have a larger or more rectangular cushion cut, 6 prongs are recommended for more security. For a sparkling brilliant look, try the halo setting since the tiny diamonds surrounding the center diamond enhance the sparkle. Halos also offer more security, since the halo provides a buffer against any impact on the diamond’s edges. If you love vintage or antique looking designs, you can’t miss with a cushion cut diamond. You can choose among authentic antique settings or just vintage-inspired setting designs, which gives you plenty of options. Some more modern settings have the cushion cut diamond set in a bezel setting. But this style makes the diamond look smaller and there’s less sparkle. But, if minimalist designs appeal to you, a bezel setting might be the perfect choice. 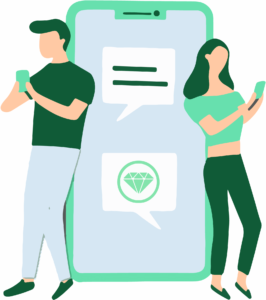 When you go online to purchase a diamond you must make sure that you choose a reputable retailer that is licensed. Check the reviews to ensure that they have a history of providing great service. Make sure that buyers are provided with a certificate of authenticity on the diamond(s) they buy. The lab certifying the diamond should be a recognized lab, like GIA, IGI, EGL or AGS. 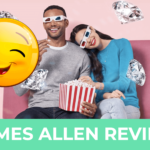 You should definitely view close-up photos and/or videos of any diamond you’re considering. Do not settle for stock photos to verify symmetry, light performance and clarity. Also, carefully read their after-sales policies regarding warranty and returns. 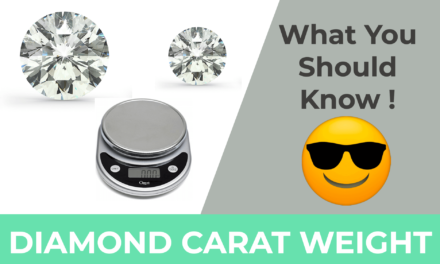 When searching online for a round or classic cut diamond, try maximizing the measurements. 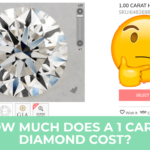 For example, a 1.0-carat diamond may measure 6.36 x 6.45 mm and have an ideal cut. But, you may also find a 0.98-carat diamond measuring 6.45 x 6.45 mm, also ideally cut and cheaper. 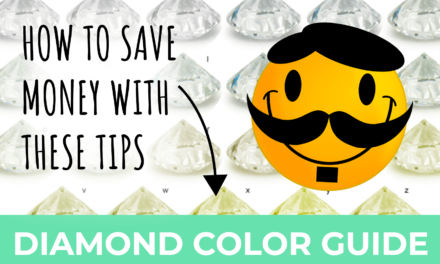 To save money, the second diamond is probably your best option. Before buying any precious stones and especially a diamond, you need to look at the diamond’s certification. Ideally, you want your diamond to have a Gemological Institute of America (GIA) certification. This is the most reputable and reliable gemological laboratory in the entire world, so their certification is the gold standard. When you actually see the diamond’s GIA certification, you don’t have to take the retailer’s word for the diamond’s quality. The diamond’s GIA certification provides you with a totally objective, unbiased and reliable appraisal. 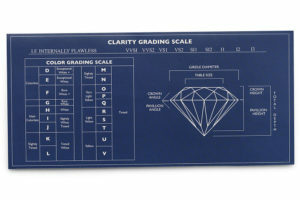 Each diamond is analyzed in terms of carat weight, color, cut, clarity and more. All these factors will clearly be stated on the diamond’s GIA certificate. 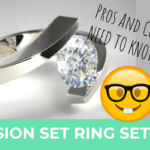 Cushion cut diamonds have more difficulty than most retaining their color. If you have your heart set on a cushion cut, choose among H color diamonds or better. 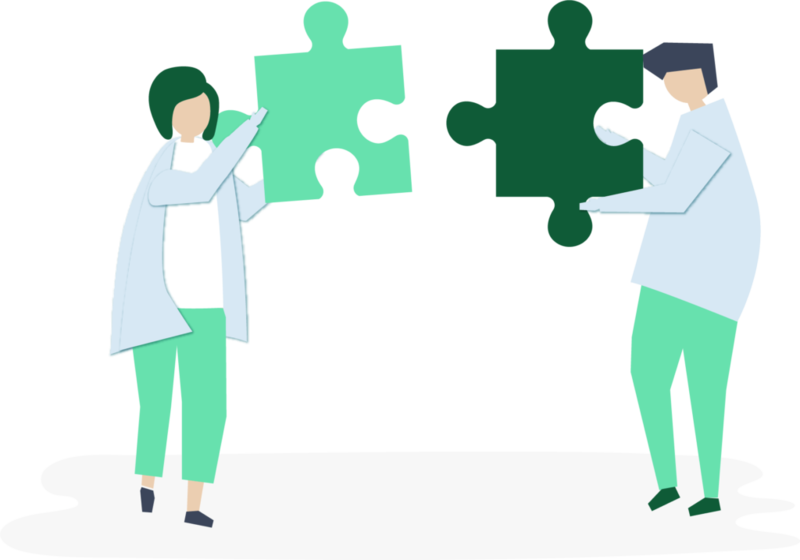 In terms of clarity, a SI2 or SI1 offers the best value. Since cushion cuts have a larger open table than most other cuts, it’s hard to find what’s considered an eye clean SI2. 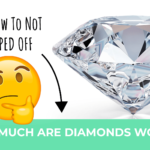 Therefore, you may need to spend more if you want a higher clarity diamond. 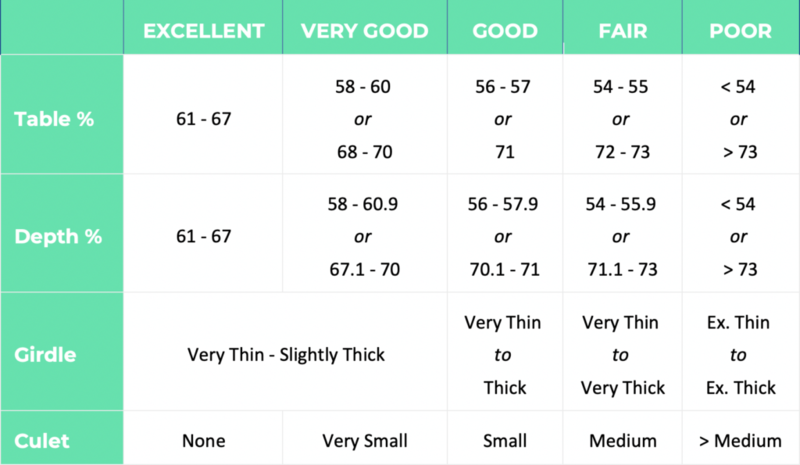 In terms of cut, the depth should be under 70% and its table should be under 70% as well. 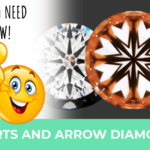 The diamond’s polish/symmetry should be Good, Very Good or Excellent. The length to width ratio is whatever you prefer. 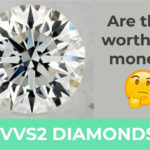 NextVVS2 Diamonds are Considered Nearly Perfect – But Are They Worth It?